Chinese smartphone brand Huawei’s sub-brand Honor is offering a number of deals and discounts on Amazon India‘s website. The offers are a part of Amazon Fab Phones Fest and are valid starting March 25 and will stay live till March 28. 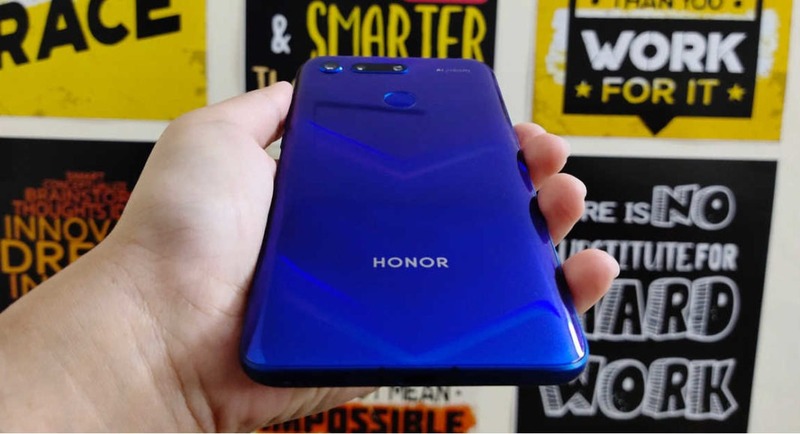 As a part of the sale, five smartphones from Honor will be available on a discount including Honor 8X, Honor 8C, Honor Play, Honor 7C and Honor View 20, which is also the latest flagship device by the company. Furthermore, those who do choose to buy the Honor Play smartphone during the sale will also be able to avail a No Cost EMI for a period of six months. The flagship smartphone of the company is available in two variants – one with 6GB RAM/128GB internal storage and the other with 8GB RAM/256GB onboard storage. A discount of Rs 5,000 can be availed on both the variants of the Honor View 20 handset. While the former can be picked up at Rs 37,999, the latter can be bought at Rs 45,999. The mid-range smartphone by Honor was launched in October last year. Honor 8X is available in a 4GB RAM/64GB storage variant and a 6GB RAM/64GB storage option. A discount of Rs 4,000 is available on both the options. With this, the former can be bought at Rs 13,999, and the latter can be picked up at Rs 15,999. A discount of Rs 3,000 is available on the 4GB RAM/32GB storage variant of the Honor 8C smartphone. During the sale, it can be bought at Rs 9,999. Besides the above mentioned No Cost EMI option that is available on Honor Play smartphone, the 4GB RAM/64GB storage variant and the 6GB RAM/64GB storage option can be bought at a discount of Rs 7,000. While the former can be bought at Rs 14,999, the latter can be picked up at Rs 16,999. Hoor 7C is a budget offering from Huawei’s sub-brand. Two RAM/Storage variants are available at discounted prices during the sale. The minimum discount available on Honor 7C is Rs 5,000.